Joanna qualified from Bristol with Honours in 1995. She completed her NHS training in the Lake District and then came to Devon as a Senior House Officer in Oral Surgery at The Royal Devon and Exeter Hospital. She then spent a year working in New Zealand before returning to Devon to establish a new practice in Exeter where she worked as a partner for 12 years. During that time, she has achieved Diplomas from the Royal College of Surgeons and the University of Bristol in General Dental Practice and General dentistry; including root canal treatment, dental sedation and periodontal care. Her passion for dentistry encouraged her to make life changes and leave practice ownership to continue her studies at the Eastman Dental Institute, Peninsula Dental School and Bristol University. She achieved Diplomas in Dental implants and Restorative dentistry with distinction. She is a clinical supervisor for the dental students at Peninsula Dental School and is finishing her MSc this year. 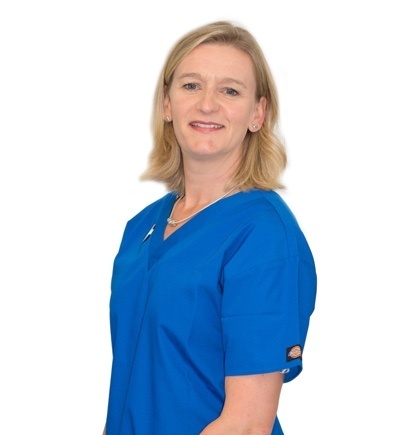 Joanna strives for excellence in her field and believes in working with you and the whole dental team to achieve a healthy mouth that will last for many years helping to keep your natural teeth for as long as possible. She can provide you with comprehensive care for all your needs, in particular sedation for anxious patients, complex ‘mouth rebuilds’, cosmetic treatments and implants. Her key message is about building a relationship centred around mutual trust and respect to ensure you receive individually tailored treatment of the highest calibre. Outside of work, Joanna enjoys all things New Zealand, keeping fit, walking, gardening and taking care of her chickens in her Dartmoor home with her husband and daughter.